Linking attack and defence, a midfielder has a pivotal role in every club. Some may be more creative, while others may be more defensive-centred. In general, the roles of these midfielders are quite similar: to orchestrate their team's attacking and defensive movements. 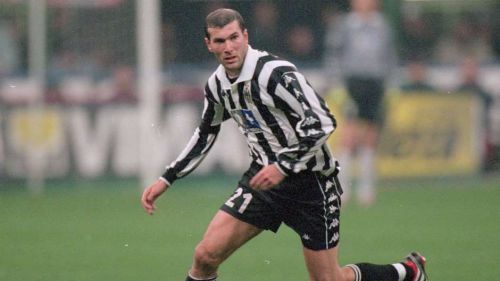 The Serie A has always been a place for great midfielders to show their exceptional talent. Dino Baggio, Zinedine Zidane, Pavel Nedved, Andrea Pirlo, Clarence Seedorf, to mention a few, are all examples of astonishing midfielders who left their own legacy in Italy. Some more recent examples are the ones of Jorginho, Arturo Vidal and Paul Pogba who, after making some spectacular performances in the Serie A, continued their career abroad. The list of past and present great Serie A midfielders is neverending. Every season in the Calcio, new and talented players rise and combine their powers with the oldest and more experienced ones. The 2018/19 season is no exception. Napoli found a perfect replacement for Jorginho, who signed for Chelsea earlier in the summer, in the face of the young Polish, Zielinski. Carlo Ancelotti has put all of his faith into the youngster and he hasn't let him down. Used mainly as a substitute to Hamsik last season, the 24-yeard-old has embraced his new role under Ancelotti this season. Zielinski scored twice in Napoli's Serie A opening against Milan, guiding his team to an astonishing comeback from a two-goal deficit. Of course, he has shown much more in the 3 games of the Partenopei with the highlight being the 11 times he has recovered the ball, more than anyone else. With a 91.9% pass accuracy so far this season and an average of 3.3 shots per game, the brilliant playmaker has already left his mark in San Paolo and has almost made Napoli's fans ignore the poor performances of their captain, Marek Hamsik. 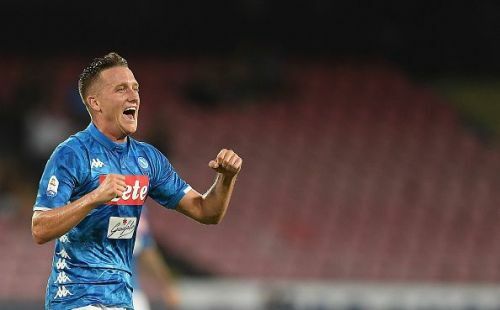 Even if he was limited to a mediocre performance during Napoli's heavy 3-0 defeat to Sampdoria, Zielinski is already regarded as one of Serie A's best midfielders this season. His former coach, Maurizio Sarri, nicknamed Zielinski as 'the next Kevin De Bruyne'. The best is yet to come from the young Polish international.